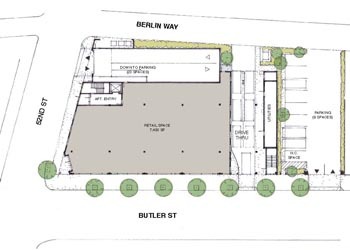 A 2100 SF mixed use building was proposed on the edge of the main corridor of the neighborhood commercial district. 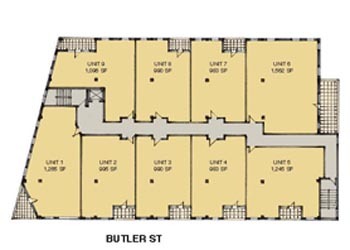 The building consisted of indoor parking for tenants, commercial space on the 1st floor with 18 units on the 2nd and 3rd floors. A distinguished rhythm was created on thee long facade in order to retain the old fabric of the street which consists of 2 4-story narrow store front buildings.